30x23,5 cm – 127 pages. 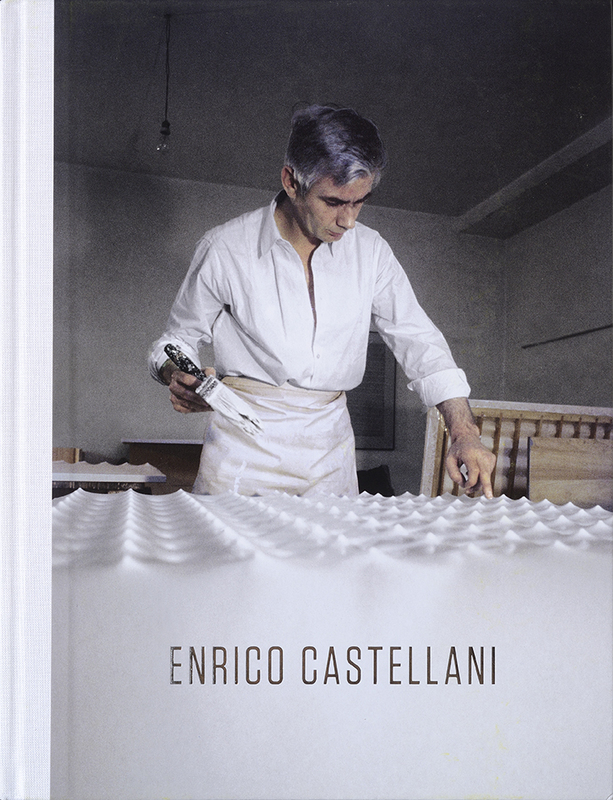 A volume published by Dominique Lévy, produced in collaboration with the Fondazione Enrico Castellani, on the occasion of the exhibitions held respectively at the London gallery from 9 February to 26 March 2016 and at the gallery in New York from 7 April to 21 May. The volume in Italian and English opens with a poem by Bruno Corà originally published in 1985 as part of a portfolio containing two paper reliefs created for the A.E.I.O.U. Editions (Rome). The poem is followed by an essay written for the occasion by Angela Vettese, by a long interview with Enrico Castellani by Hans Ulrich Obrist dating to 2009 and a text of 1994 by Mario Luzi. The main part of the volume is instead made up of the images of all of the works on exhibit, together with a selection of recent as well as formerly unpublished works, and concludes with a selected chronology compiled by Federico Sardella.